These mixed-media Lizzie Fortunato earrings are sleek and unique. 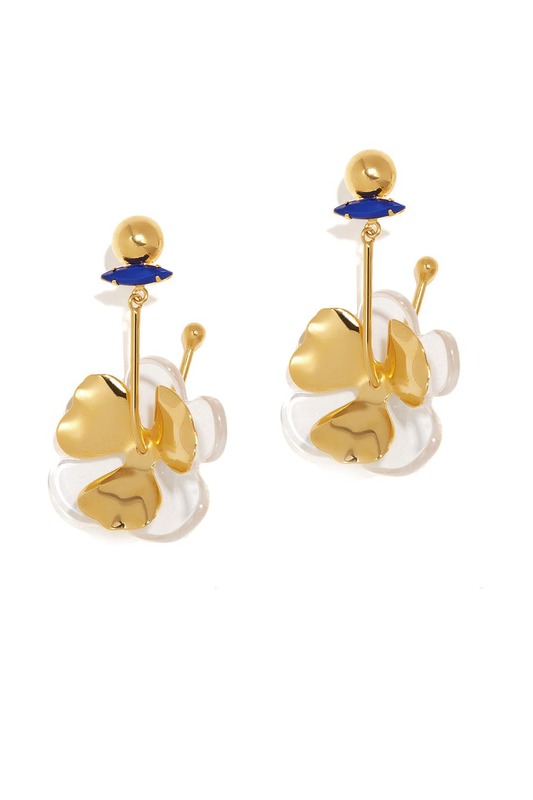 Gold plated flower earrings with with acrylic glass flower and vintage glass stone detail. Post backs for pierced ears. 2.75" long. Beautiful, Light Weight, Perfect for Spring. 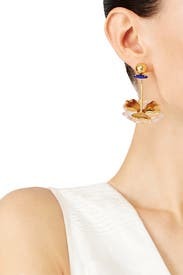 These unique floral earrings are perfect for spring. They are much lighter than they look. I wore them comfortably for 12+ hours. The blue stone below the post is a nice touch. Perfect with a sundress or a cocktail gown. I plan to rent them again for a summer wedding. Prepare for lots of compliments! Rented as part of my unlimited subscription. Mixed media and fashion forward. Earrings are larger than I imagined but are not heavy. 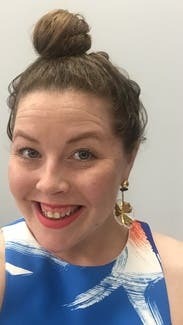 obsessed with these earrings! light weight and a great on trend statement ear. wanted to keep them.